When it comes to Apps,Android has it all. Are you among those who have skeletons in their cupboard (whatsapp). Well if you do, then this post is just for you. Today am going to show you how you can lock your whatsapp application with password on your Android device. Download - WhatsApp Lock: Keep Privacy. 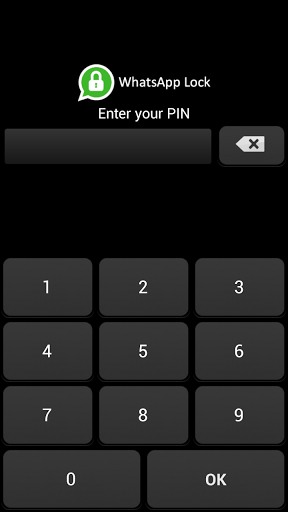 After installation open the App, you will be prompted to choose a four-digit PIN number and confirm the PIN. This PIN is used to protect the WhatsAppapplication in case anyone wants to open it without permission. The good thing about this App too is that If someone tries to access WhatsApp and inserts an incorrect PIN, it will take a picture of the offender and save on your phone! Of course this only works if your smartphone or tablet features a front-facing camera. NOTE: WhatsApp Lock: Keep privacy is compatible with Android Os2.2 and higher. Kelvin I feel honoured, tnks for coming around.